RNP works with the open innovation model, in partnership with the academic community. The experimental services are the last phase of the cycle of Research and Development, when educational and research institutions are invited by RNP to test the new proposed services and products with the aim to improve them. The Data Transport Acceleration with the Use of Dynamic Circuits Network (ATER) project was intended to develop and implement a service to identify flows of packages that transport large volumes of data and create dedicated dynamic circuits to send them. Through this service, RNP’s users who need to transport great volumes of data in a reliable manner may do so in a shorter time. The project was chosen after going through RNP’s Working Groups program, between 2011 and 2013. ATER as a project has already carried out preliminary tests with pilot users in the CIPO experimental network, and evolved the solution to make it more sound and scalable. The original partners of the project are already interested in conducting tests with systems under development and production. At the experimental stage, the solution shall be implemented in a few more points of the CIPO experimental network, allowing some of the users to conduct service proposal validation activities. The On-Demand Videos as Learning Objects project is the continuation of the GT-VoA, which proposed the development of a tool for the creation and display of interactive multimedia content (learning objects) for distance education, integrated into RNP’s repository of video classes services. 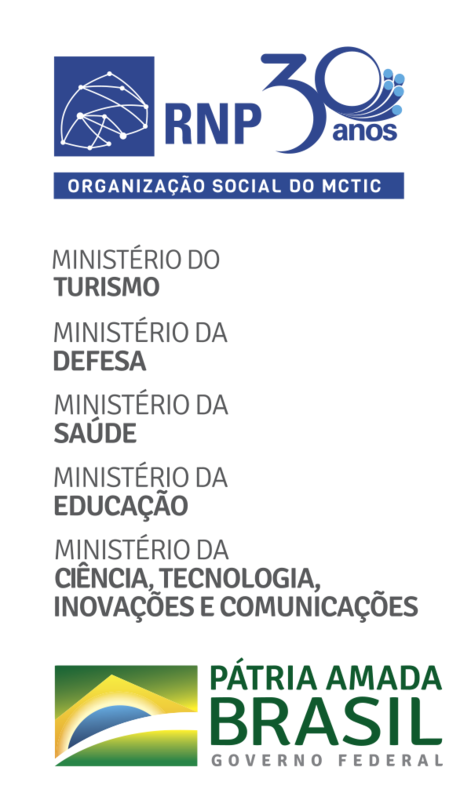 The project, developed by researchers of the Federal University of the State of Maranhão, was chosen after going through RNP’s Working Groups programs, between 2011 and 2013. During the WGs Program, the group developed the tool Cacuriá, which is intended to facilitate the process of construction of learning objects. Cacuriá is a multi-platform software that allows teachers to create OAs in an intuitive manner, with no need for programming. Such stage of the project includes integration with the Videoaula@RNP service. The Accessibility as a Service project developed a system that provides videos in a web platform for hearing impaired people, by means of the automatic translation of the contents, from Portuguese to the Brazilian Sign Language (Libras). Developed by the Digital Video Applications Laboratory (LAVID) of the Federal University of the State of (UFPB), with support from RNP, the results of the project shall be used for integration with RNP’s existing services and for the creation of a translation service for the deaf community. The Cloud Computing for Science experimental service sets forth the development of an infrastructure for cloud storage with data cypher. The goal is to allow researchers to have a tool for e-Science, which makes distance collaboration possible and carries out data storage and sharing in a safe manner nation-wide. The project was chosen after going through RNP’s Working Groups program, between 2011 and 2013. After going through the first stages of the Working Groups program, between 2010 and 2012, Mconf reached the experimental service stage in 2013. Developed by the Federal University of the State of Rio Grande do Sul (UFRGS), the tool is a free web multi-conference software that makes meetings, presentations and virtual gatherings among several users, with capacity to interoperate in a transparent manner between computers and mobile devices connected to the Internet. The idea is to allow geographically distant users to interact via audio, video, note board and chat, sharing texts, presentations, images and computer screens, by means of the web browser or a mobile device. The system is structured so as to allow scalability for multiple servers and hundreds or even thousands of users simultaneously.